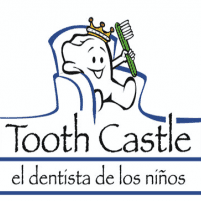 Tooth Castle Pediatric Dentistry always appreciates feedback from our valued patients. To date, we’re thrilled to have collected 5 reviews with an average rating of 5 out of 5 stars. Please read what others are saying about Tooth Castle Pediatric Dentistry below, and as always, we would love to collect your feedback. They’re the best !! From the girl at the front desk always nice and smiling and helpful . To the assistant and dentist herself . We moved to this location and haven’t regretted it! Dr. Fuentes is so patient with the kids. I love bringing my kids with her. We were in quickly and finished very quick as well. I'm glad we didn't have to wait long for our cleaning and check up. I really like how the clinic stuffs and the doctor treat and take care of our child, they are really nice and very professional. Highly recommended. I love taking my kids here with Dr. Fuentes! I have all 5 of my kids with her from oldest to youngest!